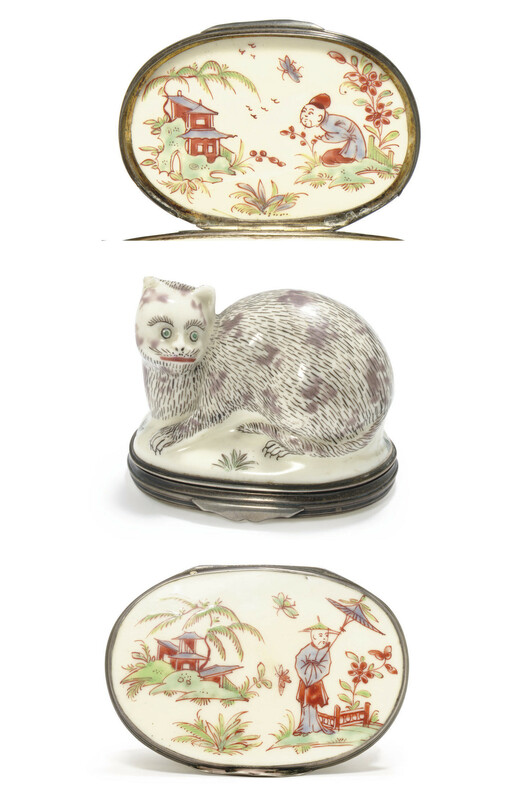 For a similar box in the collection of Le musée des Arts décoratifs, Paris, typical of the snuff boxes in the form of a variety of animals produced at the factory circa 1730-1740, see Bertrand Randot, ed., Discovering the Secrets of Soft-Paste Porcelain at the Saint-Cloud Manufactory, ca. 1690-1766, New Haven, 1999, p. 239, no. 198.